Starring Rob Evans, Molly Ryman, Ron Brice, Marcel Torres, Berenice Mosca, Veronica Heffron, David Joseph Boyd, David Joseph Boyd, Ali Tobia, Amy Hoerler, Julie Tran, Shawn Mahoney, Steven Grgas, Kristopher Torres and Nabil Vinas. Distributed by Wandering/Cut Films. 104 minutes. Not Rated. Writer/director David Spaltro's independent film ...Around is a nice reminder of how refreshing it can be to see a film that does not have focus groups, opening weekend grosses, marketing and merchandising. Of course, it also periodically reminds you of the problems and pretensions of indies. However, the positive news is that the good overshadows the bad. First off, the film looks wonderful. Spaltro definitely has a feel for both the worlds of North Jersey and Manhattan (which may be merely separated by a river, but are as different as day and night.) The filmmakers mostly show interesting and not over-exposed areas of New York and it makes the film at once familiar and slightly exotic. 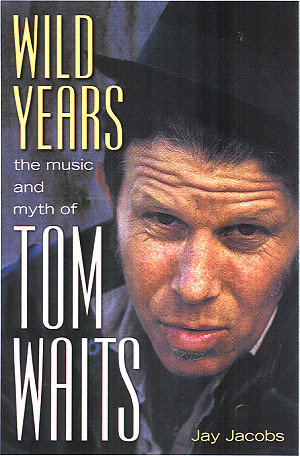 The story is mostly interesting and well told, though not necessarily completely paced right. It covers four years in a life. Sections of that time are blown through too quickly while others go on far too long. This pacing problem is not a fatal flaw and will undoubtedly get better for the filmmaker with experience. 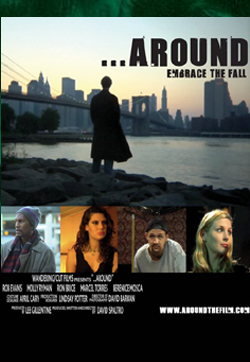 ...Around is the story of Doyle Simms (Rob Evans), a north Jersey boy who dreams of making movies. He finally gets the courage to move across the Hudson to go to film school. However, when he gets there his financial aid gets all messed up and he is suddenly left without money or a home. Unable (or unwilling) to go back to his Jersey residence, Doyle starts to sleep in Grand Central Station. This, by a long shot, is the most interesting part of the film. Scenes showing Doyle juggling classes with homelessness, learning to survive in the station with the help of an older homeless man (Ron Brice) are crisp and unexpected. While the relationship between Doyle and Allison sometimes strains credibility (see above) it is mostly sweet and charming. However, the final major thread of the film is the real Achilles heel here. This covers Doyle's relationship with his mother and in this part the film's quirkiness seems forced. The scenes between the main character and his mother were frankly nearly impossible to believe. This woman is so toxic, so hateful, so completely un-maternal that every time she is on screen the film screeches to a halt. The mother here makes Angela Lansbury's character in The Manchurian Candidate seem warm and fuzzy. However, luckily she does not get much time on camera. What time she is there does not undo the mostly positive feelings I have for the film. Another one of the great (and sometimes painful) things about indies is that in general the filmmaker can stick to his vision, even if it doesn't work at all levels. Enough of ...Around succeeds that I am very interested to see what Spaltro can come up with next. Copyright �2009 PopEntertainment.com. All rights reserved. Posted: February 14, 2009.